Acts of Random Kindness (ARK), shall plan and carry out small events and simple actions to promote happiness and a caring environment on the Case Western Reserve University Campus. The organization will accomplish these tasks through weekly meetings, planned events, and member involvement. We work to not only create ways for our members to follow our mission, but also to encourage everyone within our community to spread some kindness. Advocates for Cleveland Health is dedicated to helping the Cleveland community through public health education and medical screening services against diabetes, hypertension, hyperlipidemia, and other health issues. We are dedicated to preventing disease through screening services and health care education. A4CH provides low-income and uninsured citizens in the Cleveland community with free medical screenings, and individuals at risk for disease are referred to free clinics for follow up appointments. All screening services are established and operated by undergraduate and graduate students from Case Western Reserve University and overseen by licensed professionals from St. Vincent's Charity Medical Center, Cleveland Clinic, and the Cleveland Department of Public Health. A4CH also hosts on-campus events to promote awareness of and recruit advocates for public health work in Cleveland. Alpha Eta Mu Beta is the undergraduate honors biomedical engineering society. Alpha Kappa Psi is the oldest and largest co-ed professional business fraternity in the United States, enabling it to utilize vast knowledge and resources to mold today's business students into tomorrow's business leaders. Through a combination of professional, philanthropic, and brotherhood events, Alpha Kappa Psi challenges its brothers to achieve ever more in the world of business. The fraternity continually seeks to further the individual welfare of its members, to foster scientific research in the fields of commerce, accounts, and finance, to educate the public to appreciate and demand higher ideals therein, and to promote and advance, in institutions of college rank, courses leading to degrees in business administration. Alpha Phi Omega is a national co-ed community service fraternity dedicated to developing leadership, fostering friendship, and performing community service. This undergraduate student organization is responsible for being the link between the local and national AIChE chapters for chemical engineers. Events are held throughout the year to connect students, faculty, and industry in an attempt to further the career goals of declared chemical engineers. The AMSA premedical chapter at CWRU is based off of American Medical Student Association, the nation's largest medical group that seeks to address concerns within the medical field and utilize the skills of physicians-in-training. We want to provide premed students at Case Western Reserve University with the opportunity to explore the many facets of medicine. It's imperative that we create activities and programs that are innovative, such as our proposed premed rotation/shadowing program where participating students would experience a specialty by shadowing a physician, then moving onto another area of medicine and shadow a different doctor. However, we don't stop offering more traditional events, such as the MCAT clinic or Med School Panel, because a student needs to be well informed for his or her potential career path. AMWHO serves as a simulation of the World Health Organization in order to discuss global health policies and issues. Its purpose is to inform, education, and give exposure to those who are interested in public policy and the health sciences. Additionally, students participate in social events that provide networking opportunities, community service and outreach events geared toward exposing kids to engineering, and our annual career fair. Anthropology Student Association caters to students who are interested in anthropology and who wish to learn more about the department, research opportunities, and career-building opportunities. The organization provides like-minded students a venue to discuss relevant events and apply concepts learned in anthropology classes in an informal way. Founded in 1978, the Archery Club is the oldest sports club at Case. We are devoted to making archery accessible to students, faculty and staff. Our members include beginners who have never shot before, alongside skilled competitors and shooters who simply find archery to be relaxing and enjoyable. Art Forward is an empathy-driven initiative to connect student volunteers with youth at the Cuyahoga County Juvenile Detention Center over monthly art projects. We believe art can be used to promote creativity and interpersonal skills, and that perspectives may be uniquely enriched on both sides. No artistic experience necessary! The goals of each session are to be present, relate to one another, and experience self-expression by creating something tangible and personal. Gain new perspective, learn about the Cleveland area community, become a peer mentor, develop leadership skills and express through art! No lady deserves to go through tech feeling alone. CWRU ACM-W seeks to grow & strengthen our community of women in tech & their allies. Together, we want to build an inclusive network of support, advice, and navigation in the world of tech for ladies from all walks of life. Our goal is to provide CWRU students with an opportunity to engage campus and local communities in advocacy, education, and awareness for autism.Founded in 2011, Autism Speaks U CWRU Chapter does awareness, advocacy, and fundraising events to support Autism Speaks, North America's largest autism science and advocacy organization. It is an exciting and collaborative way for students to get involved with Autism Speaks and support the autism community in Cleveland. Baja SAE is an intercollegiate competition, sponsored by the Society of Automotive Engineers, where students design, build, test, and race an off-road vehicle. National competitions are held every spring/summer, where teams from different states and countries around the world put their vehicle through rigorous events. The CWRU Baja team first competed in 2001 and has had a record-breaking season in 2017. Team meetings are held every Tuesday and Thursday at 6pm, and Saturdays at noon in think[box]. The Ballroom Dance Society exists to provide lessons and opportunities for students and non-Case members of the community to experience the world of ballroom dancing. We currently hold weekly lessons in International Standard and Latin with our instructor, Samara McCullough. We also hold weekly practices. In addition to providing lessons in ballroom dance, we also go to collegiate competitions: it's a great way to judge your progress and show off some dancing skills. Tuesday lessons are at 6:30-9:30 pm. Beginner ballroom lessons are from 6:30-8:30 pm, and intermediate/advanced ballroom lessons are from 8:30-9:30. Come and dance with us! Big Brothers Big Sisters at Case Western Reserve University provides children facing adversity with strong and enduring, professionally supported one-to-one relationships that change their lives for the better, forever. Each time Big Brothers Big Sisters pairs a child with a role model, we start something incredible: a one-to-one relationship built on trust and friendship that can blossom into a future of unlimited potential. Here at CWRU, students can volunteer their time to be a mentor, and provide the proper guidance to a child in need in the Cleveland area. Big Games Club hosts and plays massive games across campus, including semesterly games of Humans vs. Zombies and Capture the Flag. BMES provides undergraduate students opportunities to engage with fellow undergrads, graduate students and faculty. Our events are focused on making lasting connections and gaining experiences that will benefit students for their whole careers. Body positivity club is dedicated to promoting positive body image for its members and the entire campus. Our club has registered CWRU as a Proud2bme campus through the national eating disorder association to further help promote positive body image. While this club is not an eating disorder support group we do offer support to those suffering and are sensitive to their issues. Like CWRU Body Positivity Club on Facebook! After-school programming plays a significant role in supporting the development of young people and can have as much influence on their overall success as their experience during school time. Boys & Girls CWRU understands this is a time to transform the kids’ lives, and better the future of our communities, state and nation. We are an organisation dedicated to the promotion of French culture on campus as well as providing a safe space for people to speak and learn French with natives or other French speakers. Nous sommes là pour vous donner un espace dans lequel vous pouvez parler Français avec des natifs ainsi que d'autres élèves. Nous organisons aussi des évènements autour de la culture française. Encore bienvenue à vous et nous espérons vous voir à nos différents évènements! Camp Kesem is a national 501(c)3 nonprofit organization run through college chapters that supports the often-overlooked population of children affected by a parent’s cancer through a national network of summer camps run by passionate college student leaders. Camp Kesem (www.campkesem.org) is a nationwide community, driven by passionate college student leaders, supporting children through and beyond their parent’s cancer. Camp Kesem provides children through and beyond a parent’s cancer with a peer-support network that recognizes and understands their unique needs. This summer, Camp Kesem is hoping serve over 8,000 children, ages 6-18, with fun and support through free summer camps led by passionate college students. Camp Kesem currently operates over 105 chapters in 45 states and is funded by donations and community support. For more information on Camp Kesem at CWRU, please visit www.campkesem.org/casewestern, Facebook.com/CampKesemCWRU, and @CampKesemCWRU on Twitter & Instagram. Campus Canines for a Cure highlights the importance of therapy. Our goal is to raise money for The American Kennel Club Canine Health Foundation. Sometimes a person does not have to be directly ill to need support and therapy in their life. People in general, not just those in hospitals, have been shown to benefit from contact with animals. Campus Canines for a Cure strives to bring therapy dogs to Case on a regular basis to provide therapy and support to students whether sick, healthy, or just missing their pets at home. If you would like to collaborate with us, we would love to help you out! Please email campuscaninesforacure@gmail.com about the event, and we will get back to you as soon as possible. Thank you! Our club primarily designs, builds, and flies a large scale custom RC aircraft for an annual competition each year hosted by Cessna and Raytheon. The required task varies each year, ranging from aerobatic maneuvers to carrying and dropping payloads. We also explore autonomous flight and quad-copters. We are a group for those interested in operating amateur ("ham") radio or in getting an amateur radio license. We provide information to individuals and groups in the University and community with regards to good radioelectronics design principles and good radio operating practices. Case CobRAAS aims to promote awareness and involvement of raas/garba, a traditional dance that originates from Gujarat, India. By competing at a national level, on the intercollegiate raas/garba circuit, we plan to represent Case Western Reserve University with relentless passion and dedication. We would also like to provide the campus and Greater Cleveland community with an opportunity to learn more about the cultural significance of this dance. Our goal is to also establish a well-developed team that provides it's members with a positive, healthy, and welcoming environment. Currently, our university is not represented on the raas circuit and Case CobRAAS seeks to fill that void. informed student body at Case Western Reserve University. Crew is an athletic club that rows on the Cuyahoga River and Lake Erie. We are a competitive team that is comprised of men's and women's novices and varsity. We own a 4+ boat and 2 8+ boats and row at the Cleveland Rowing Foundation boathouse located in the flats of downtown Cleveland. In addition to getting a great workout on the river and on the erg, we compete at several regattas each season. Crew is an exciting competitive sport, and no experience is necessary to join. The Case Curling Club is a brand new organization of students interested in the sport of curling. No experience is needed, only enthusiasm! To use our voice as college aged individuals to fight for what we believe in through movements and activism. The Case Engineers Council is a unique organization on campus that connects the engineering departments, student organizations, and students passionate about engineering. We promote the collaboration of alumni, faculty, and students through community outreach, company networking, discussions, lectures, and social events. Our mission as an organization is to create an education-based group that advocates for Israel through peaceful interactions with the larger Jewish and CWRU communities. We hope to foster a positive and open environment for all members of campus, regardless of their religious or political beliefs. We want to stop false stereotypes regarding Israel and be accurate and genuine of our representation of the country. Case for Sight is a vision advocacy group aimed at spreading eye care awareness throughout the CWRU and Cleveland community. This is accomplished through service and philanthropy efforts with various organizations such as the Cleveland Sight Center, The Free Medical Clinic of Greater Cleveland, Foundation Fighting Blindness, and ORBIS International. Our service programs include volunteer work with the Cleveland Free Clinic, the Sight Center, and Medworks. Our annual Dinner in the Dark and Distinguished Lecture Series events draw hundreds of students and professionals from Northeast Ohio to advance vision health in the community. If you'd like to stay updated on auditions, performances, and concerts, visit our Facebook page. Case Kismat is a competitive team that performs fusion dance routines on the Case Western Reserve campus and represents the university at national intercollegiate fusion dance competitions. Each competition that Kismat attends supports a distinct charity that helps underserved populations in India (i.e. Women In Need, Shanti Bhavan Children's Project). Fusion dance, which has an established competition culture in colleges across the country, combines various dance styles. These distinct styles of dance come not just from different regions within India but from around the world. Kismat incorporates the Indian styles of Garba, Raas, Bhangra, and Bharatnatyam as well as hip-hop, breakdancing, krumping, contemporary, stunts, and jazz technique. All of these dance styles and cultures are combined into one dynamic routine to create this distinct dance style, Fusion. Dance routines are performed with a storyline complete with dialogues, an introduction video, costumes, and on-stage props. Case Men's Glee Club is Case Western Reserve University's premier all-men's choir. We focus on singing barbershop-style harmony and traditional men's glee music, along with classic pop, world, and gospel pieces. Founded in 1897 at the Case Institute of Technology, we are the oldest student organization on campus. We have been a staple of singing tradition at Case Western Reserve University for over one hundred and ten years. We, the Case Origami Circle, meet once a week to fold origami. Whether you're working on your own model or you want to teach/be taught something everyone is welcome. No prior experience necessary. We even accept modular folders. Learning outside of the curriculum is an essential part of a college experience. CPG provides unique opportunities for individuals to discover and explore intellectual pursuits outside of curriculum, hierarchical, and location constraints. By coordinating impromptu excursions outside of the University Circle, we help people to experience the dynamic beauty and energy of surrounding communities. Wandering on foot leads us to unexpected discoveries and intellectual perspectives. We will set different ground rules for each walk in order to make the walks more exciting. By working with local organizations and inviting “guest wanderer”, we make sure that each one of our events is unique and enlightening. Instead of staying in a room listening to lecturers, why not try walking with them? Case's first and only equestrian team, open to all experience levels! Whether you want to compete through the Intercollegiate Horse Show Association or just learn the basics, we've got you covered. Case Rocket Team [CRT] enables students interested in aerospace and rocketry to construct their own rockets and compete in international collegiate high power rocketry competitions. We are one of the university's engineering design teams, located on Think[box] 5th Floor. No experience is necessary to join, and we welcome members from all majors. Case Center for Inquiry is an organization for freethinkers. Our goal is to broaden the awareness of all of our group members via presentations and events that focus on issues in the world today. Past events/topics include the celebration of free speech on International Blasphemy Day, talks about humanist/skepticist ethics, and discussion about the proper role of religion in the political sphere. Our meetings are open to members of the Case Western Reserve University campus community. Ceramic art club is designed to introduce ceramics, as a special form of handcraft to students with all different proficiency levels. We aim to create a relaxed and inspiring atmosphere for members to build their on-hand crafting skills. This organization provides weekly lesson plans for students to use palette glazes, air dry clay, and ceramic clay. Students will have the opportunity to design ceramic products of their own choice, such as cups, potteries, and various types of decorations. This organization will occasionally hold trips to the nearby art museums. The primary purpose of Chabad Student Group is to offer the unique approach it has to Jewish living, knowledge, and practice to the student community at Case Western Reserve University. Chabad provides vibrant Judaism, imbued with the depth and vitality of Chassidic thought, philosophy, and Jewish Mysticism, and within the framework of traditional Judaism. Our objectives include but are not limited to; educational, ritual, and social activities, in addition to counseling and spiritual guidance to individual students. Our organization is based on Chassidic philosophy, as taught locally at Chabad's Jewish Student Center directed by Rabbi Mendy and Sara Alevsky. Our philosophy does not concern itself with the background, upbringing or ‘denomination' that most Jewish organizations utilize; rather we believe that that every single Jew deserves an equal opportunity to experience and enjoy their heritage. All programs and events of Chabad Student Group are within the framework of Halachah, Jewish law, as transmitted by the Rabbis throughout the generations dating back to Moses receiving the Torah at Mount Sinai. These goals shall be achieved through weekly Torah (Bible) classes, monthly women's programs, lectures on various Jewish issues, and speakers for religious and cultural events. We will also provide Shabbat and Holiday services, Glatt (the highest Kosher standards) Kosher dinners, Jewish holiday programs, and Shabbatons (unique weekends). This organization is designed to promote chess, with its social, educational and competitive benefits, provide tournaments, and foster networking for those who are passionate about chess! In addition to hosting a casual club-type atmosphere every week, we aim to improve our skills and send teams to competitive tournaments. Meetings are every Thursday at 7:00 PM in the food court of the Tinkham Veale University Center (11038 Bellflower Rd., Cleveland, OH). Cheza Nzuri is Case Western Reserve University’s first African dance team that seeks to promote culture through dance from across the motherland of Africa. Performances are held on the Case Western Reserve University’s campus, as well as other venues and universities upon request. With a unique blend of both modern and traditional African dancing, we share an art form that is an essential component of our history. Our journey as a dance team is filled with joy and appreciation for our heritage and our passion for dance is revealed through the energy displayed in our performances. Come join us as we educate, entertain, and captivate our audiences, and follow and cherish in our memories. The Chinese Student Association exists as one of the coolest organizations at Case. It provides international connections within all CWRU communities and future leaders, helps students explore and develop relationships and networks, and gives experience to everyone interested in CSA events and CSA cultures of inclusiveness and innovation. We hold the faith common to all believers. We are brothers and sisters in Christ focused on pursuing Christ through fellowship and enjoyment of the Lord. Circle K International (CKI) is the world's largest collegiate service organization. Through the embodiment of our tenets--service, leadership, and fellowship--CKI works to meet the needs of our community and of the world. As a part of the Kiwanis Family, CKI at CWRU works directly with our sponsoring Kiwanis, the Kiwanis Club of Cleveland, to engage in the community and provide service where needed. CKI also participates on the district and international levels by attending annual CKI conferences. The Circus Club will teach, share, practice, perfect and perform circus arts including hand balancing, partner acrobatics, and aerial arts including aerial silks, lyra, and trapeze. The primary purpose of this organization will be to safely share skills, technique, advice, strength and conditioning exercises, and to promote creativity in performance and choreography. CPS Connection is an after school program for middle school students in Cleveland's inner city schools. The objective of our group is to provide a positive influence in students' lives that will encourage them to avoid negative influences. This is done by providing fun and dynamic programs that kids want to participate in (like introduction to art and music, debates about current affairs that affect them, hands-on science and math demonstrations and projects, or a creative business project). The programming will be tailored to the kid's interests, so as to facilitate maximum participation and to get the kids to want to come to our program. The idea isn't to tutor these kids or prepare them for a test, but to encourage them to be curious about the world around them. Case students will be an integral part of this program, as they will serve as role models and leaders of the programs for the students. This will be a unique opportunity for Case students to experience the diverse cultural heritage that Cleveland's children comprise. The purpose of the organization shall be to organize a congregation of students who share a common passion for climbing. We provide organized activities to allow students with or without prior experience to participate in the sport of rock climbing. We hope to give an opportunity for all students to try the sport and to help students with a climbing background further their skills. Club Badminton provides the Case Western Reserve University community with the opportunity to play, learn, & appreciate the international, Olympic sport, badminton. We compete with other universities to build bonds & make connections through sports. Aside from that, we practice three nights per week. Club Baseball is CWRU's brand new club level option for playing college level baseball. The CSSO invites undergraduates interested in Cognitive Science and related academic fields to join! These fields include, but are not limited to, Artificial Intelligence, Psychology, Linguistics, Philosophy, Neuroscience and Biology. The CSSO is both a social and academic organization. This means that we plan fun social events as well as academic events, including colloquia and an annual undergraduate research conference. Members have many opportunities to develop professional skills, especially communication, event planning and leadership skills. COCO is an ad hoc committee that advocates for CWRU undergraduate commuter students as well as providing services for the commuter lounge located in Thwing Student Center. This is not your ordinary book club. Our specialty is the mystery genre. We will read a variety of mystery novels from traditional whodunits to suspenseful thrillers, watch mystery-themed TV shows and movies, and convene with our fellow detectives on a twice-monthly basis for discussions. In addition, we will hold volunteer events where members will have the opportunity to read to children at local elementary schools and libraries. Together, we will hone our investigative skills while inspiring the next generation of young detectives. We are a caring community passionate about connecting people to Jesus Christ. Large Group Meetings: Every Thursday at 8 p.m. in the Student Activities Center in Tinkham Veale University Center. Ask about our Life Groups to find one that fits your schedule! and the national page at cru.org. CWRU's student chapter of ASME. Our goal is to improve the technical and personal skills in members and provide them with the resources to succeed beyond Case Western Reserve University. The Cycling Club focuses on maintaining a relaxed, friendly environment for students, faculty, and staff to practice and participate in cycling events. These events include local road rides, trips to the Cleveland Velodrome and Ray's Indoor Mountain Bike Park, spinning classes during the snowy months, and numerous other social events. We hold public tune-ups twice a year. Our USAC-recognized competitive cycling team also participates in both domestic and collegiate races in the following disciplines: Track, Mountain, Cyclocross, and Road. We are always looking to expand into new areas as well. If interested in racing, we provide structured training and coaching to fit your schedule. Our club workshop and equipment, including tools, trainers, and road bikes are available to all members free of charge. We welcome everyone: come ride with us! CWRU EMS is a student-run volunteer organization that provides emergency medical assistance to the students, faculty, staff, and guests of the Case Western Reserve University community. The most fundamental mission of CWRU EMS is to provide a high standard of free, basic life support by reporting to on-campus medical emergencies. Furthermore, CWRU EMS strives to serve the CWRU community by facilitating and providing educational opportunities for the student body, by offering stand-by assistance for major university events, and by encouraging members to participate in public health-related volunteer and community service work within the greater Cleveland area. The overarching mission of CWRU EMS is to attend to the emergent medical needs of the Case Western Reserve community while continuing to foster general interest and education in public health and safety. Case Western Reserve University Geological Society is an organization dedicated to promoting interest in the geosciences and related fields, including ecology and planetary science, and to developing skills in these areas. Membership is open to all members of the CWRU student body, and meetings will be open to all members of the CWRU community. Currently the IEEE is accepting new members. Interested in helping to reconstruct a valuable resource for electrical, computer, biomedical, and systems and control engineers? Sign up today. CWRU Medwish is a service-based organization consisting of university students committed to creating self-sustaining solutions for underdeveloped communities in order to serve internationally while acting within the Cleveland community. Guided by faculty advisors and mentors at MedWish and Case Western Reserve University, students across a multitude of disciplines, from engineering to the social sciences and humanities, aim to improve global health and provide optimal conditions for medical care. The CWRU Music Therapy Club was founded to provide music therapy to patients and their families at various clinical facilities in the University Circle area, while simultaneously affording undergraduate musicians at CWRU performance opportunities intended specifically to improve the wellbeing of those in need in clinical settings. The CWRU Poker Club is a group of individuals who come together in a friendly environment to play poker together. All skill levels are welcome, including those who have no idea how to play. We do not support gambling in any way. If you have any interest in poker or if you are simply looking to make some friends, CWRU Poker Club is a great place for you! The CWRU Quizbowl Team represents Case Western Reserve University at trivia and quizbowl competitions at the regional and national levels in both academic and pop culture tournaments. On campus, CWRU Quizbowl usually hosts events for area high school students twice a year. CWRU Quizbowl alums and players have won millions of dollars on 'Jeopardy! ', 'Who Wants to Be a Millionaire' and other television game shows. The time commitment for CWRU Quizbowl is entirely up to the player. Practices occur in Thwing on Mondays and Thursdays between 6 and 8 pm, and students can show up at whatever times they are available during these practices. On average, CWRU teams attend six tournaments per semester across the Great Lakes region, in Canada and throughout the greater United States. Some players have played in one tournament over four years while others have played in thirty; each player chooses how active they would like to be. Most importantly, and unlike some other collegiate quizbowl programs, Case Quizbowl is not a blood sport. We intend for practices and tournaments to be fun, mind expanding, and humane. Any undergraduate or graduate student is welcome to join; just show up to a practice! We select teams for travelling competitions based on practice attendance and the rules of the events we attend, though we rarely have to turn people down when they wish to participate. The CWRU Smash Club was established to foster an environment of competition and growth, for the students of Case Western Reserve University (CWRU), the Cleveland Institute of Art (CIA), and the Cleveland Institute of Music (CIM), and for members of the surrounding community. The CWRU Smash Club seeks to provide an environment for people who love the game to play, discuss, and come together over this mutual interest. We are Case Western Reserve's official Speech and Debate team. We are a platform for all recognized collegiate Speech and Debate activities to any interested person(s) regardless of experience. We travel to tournaments around the country and compete against other schools. The CWRU Undergraduate Consulting Club seeks to create an open environment for all students regardless of grade, major, or background, to come together and learn about professional opportunities in consulting and prepare them for the difficult interview process consulting firms utilize. The CWRU UGCC seeks to create awareness that firms are looking to hire the bright and driven students at CWRU and then prepare those willing to put in the effort for those positions. In addition, the UGCC aims to build a network of successful alumni in order to put CWRU on the map for even more firms. Our goal is to provide students who have an interest in marketing and business with exposure to real world marketing and career development. At Marketing Club, students from all disciplines of studies learn about marketing through career panels, seminars, and hands-on projects with other on campus organizations. Case Western Gym Buddies is an athletic club that encourages a healthy lifestyle and lifting in the safest way possible. As a community, we hope to foster friendships with anyone who enjoys lifting or wants to learn how to lift in a judgement free environment. We are a street dance group that focuses on it's members' developments, both in their techniques and their performance skills. The purpose of the organization shall be to promote German culture on the Case Western Reserve campus as well as provide a community and enviroment for those who are interested in Germany, the land, people, language and culture. Design for America's vision is a world where people believe in their ability to innovate and tackle the most ill-structured challenges of our time.Design for America (DFA) is an award-winning nationwide network of interdisciplinary student teams and community members using design to create local and social impact. We teach human centered design to young adults and collaborate with community partners through extra-curricular, university based, student led design studios tackling national challenges in Education, Health, Economy and Environment. Dhamakapella is Case Western Reserve University’s competitive South Asian fusion a cappella group. We perform original arrangements that fuse Western artists such as Ariana Grande, Sia, Maroon 5, and Kanye West, Bollywood film and Indian classical music, and genres such as pop, R&B, trap, and dubstep. Since our inception in 2005, we have recorded and produced two studio albums composed entirely of original arrangements written by current members of the group or alumni. Not only does Dhamaka perform at various on and off campus events, we compete against other fusion a cappella teams nationally. Dhamaka has competed at numerous competitions and festivals throughout the country, and has won nine national titles. In 2017, Dhamakapella was one of seven teams to qualify for the first-ever South Asian fusion a cappella bid-style championship, All-American Awaaz. Our group is composed of students from a wide spread of musical backgrounds, ranging from shower singers to those with classical Indian and Western vocal training. We are united by our love for music and are always excited to recruit new talent, perfect our sound, and share our passion with our listeners. A cooperative dedicated to serve as a platform for students to foster and share their interests in electronic music genres and educate members and non-members on the history and present state of electronic music. Engineers Without Borders helps create a more stable and prosperous world by providing access to necessities such as clean water, power, sanitation, and education. EWB-Case operates under this charter, but additionally pursues the education of students in a socially conscious manner through experiential learning. This is accomplished by the implementation of both international and local sustainability projects. As well as being associated with EWB-USA, the national organization, we function under the name Humanitarian Design Corps. HDC is a section of our organization created to allow us more flexibility in choosing the projects we commit ourselves to. Meetings are weekly and specific to each project group. All of our meetings can be found on our calendar under the home tab to your left. A gaming community on campus open to all gamers of every skill level on all consoles. We field competitive teams that compete nationally for scholarship money and also host gaming events and tournaments. We have meetings every at 6pm during the school year. Esports Club is a Tespa Chapter and is inactively involved with the Cleveland gaming community. Fancy, Always Fancy is an ensemble of young scholars who interest themselves in the field of living with high class, and want to bring this classical life style to modern times. The central focus of “Fancy, Always Fancy” is to learn about, explore, and act out the practices that represent what it meant to be fancy in cultures from the Elizabethan Era through the Roaring Twenties. In order to do this, we will watch movies that represent those ideals, visit museums with displays that would be educational for our purposes, attend shows that are representative of “fancy” culture, and emulate what we imagine it would have been like to be a member of the higher class society in various time periods. The CWRU Fencing Club is a close-knit group of students who get together to learn and practice fencing skills. We train in all three types of sword: foil, epee and sabre. While the basics are the same, each has its own special form and rules of conduct. Students of all skill levels are welcome, and equipment is provided. We compete in the Midwest Fencing Conference against other club teams as well as varsity teams, including some Division I schools. Practices are held in Adelbert Gym from 6:30pm - 8:30pm on Monday and Wednesday and 4:00pm - 6:00pm on Friday. Come out and give it a stab! Fencing at CWRU is a great opportunity to stay active and also meet new friends. The Figure Skating Club of Case Western Reserve University is dedicated to uniting students passionate about figure skating, as well as recreational skating. We provide opportunities for regular practice for skaters of all levels, through both public skate and freestyle sessions. We also host a variety of figure-skating related social activities including figure skating competition watch parties, attending ice skating shows in Cleveland, and yoga sessions. Skaters of all levels are welcome to join! We skate at Cleveland Heights Rec Center, five minutes away from campus and often provide transportation to the rink. In addition, we are an officially registered USFSA Club and qualify to compete at Collegiate Figure Skating Competitions. This group serves to introduce new and experienced shooters to guns of all shapes and sizes. We go on range trips with an emphasis on safety procedures, firearm function, and firearm manipulation. We make regular trips to the range every month, so contact us if you want to come along and invite your friends! Our mission is to fight waste and feed people. We do this by donating the excess food from campus to our community. In addition to diverting food waste, we hold educational events on campus and in the community about issues regarding social inequality, healthy eating, food waste, and ethical service practices. We also work closely with other food and service related groups to connect multiple student organizations together through Food Forum. This is a club that runs chapters of Girls Who Code on campus. The aim of the club is to encourage girls from the ages 12+ to learn how to code and encourage them to pursue computer science. Members of the club create lessons plans and teach basic computer science at one of our running chapters. The Global Health Design Collaboration (GHDC) of Case Western Reserve University (CWRU) of Cleveland, OH is a multi-level interdisciplinary organization which seeks to integrate social science and engineering disciplines in the development of relevant, sustainable solutions to health concerns in Uganda. Specifically, it seeks to utilize the theoretical perspectives and methodologies of sociocultural anthropology to identify local health concerns within an emic model; then, apply these factors as inputs to an engineering design process to produce culturally appropriate and sustainable solutions. GHDC aims to build upon the work of the longstanding collaboration between CWRU and Makerere University (MAK) in Kampala, Uganda. This collaborative focus is on the Human Immunodeficiency Virus (HIV) infection, as well as manifestations of disease that are more frequently seen in developing countries, i.e. tuberculosis and TB-HIV interactions. GHDC endeavors to establish, maintain, and grow the Engineering-Anthropology Collaboration between the two schools. GHDC is comprised of anthropology and engineering students from MAK and CWRU. In addition to remote collaboration, these two groups of students cooperatively conduct field research in rural Uganda . Students from CWRU travel to Uganda to work with members of the community to identify health care problems, prioritize these issues, and gather pertinent data to consider in the design of solutions. Students work in small, intramural design teams and then communicate and exchange ideas to integrate each team’s efforts and contributions for a more comprehensive solution to the identified problem. In summary, GHDC is an interdisciplinary and multi-institutional organization that seeks to bring a new perspective to the field of global health. By facilitating the interaction of students across educational backgrounds and working directly with the communities we serve, GHDC works to create sustainable and emic solutions to health care concerns in Uganda. Global Medical Brigades is an organization that will provide consistent access to healthcare to citizens in economically disadvantaged countries. Nationally it is the world's largest student-led global health organization. CWRU's chapter will undertake a mobile clinic in one of four underserved countries annually along with chapters across the nation in order to improve the quality of life in those countries. While on this brigade, CWRU students will ensure the underserved citizen's access to primary health care and health education. Additionally, the organization will be involved in educating the CWRU and Cleveland community about Global Health issues present throughout the world. Habitat for Humanity is a service organization dedicated to creating awareness of the problems of sub-standard housing, raising money for Greater Cleveland Habitat for Humanity, and participating in the construction of quality, affordable housing, both in the Cleveland area and throughout the country. We engage in trips a few Saturdays a month to assist at local build sites and the Cleveland ReStore, as well as spring and winter break trips to warmer areas to assist other Habitat affiliates with construction. We also work to allow the campus community become involved with Habitat for Humanity without having to travel. We hold fundraisers throughout the year to help Greater Cleveland Habitat for Humanity raise funds. We do various awareness events throughout the year to bring Habitat's message to our campus, especially during our awareness week. And we create opportunities for the campus to learn more about substandard housing and how it is affecting peoples lives here in Cleveland, often by bringing in community speakers to our monthly general body meetings. 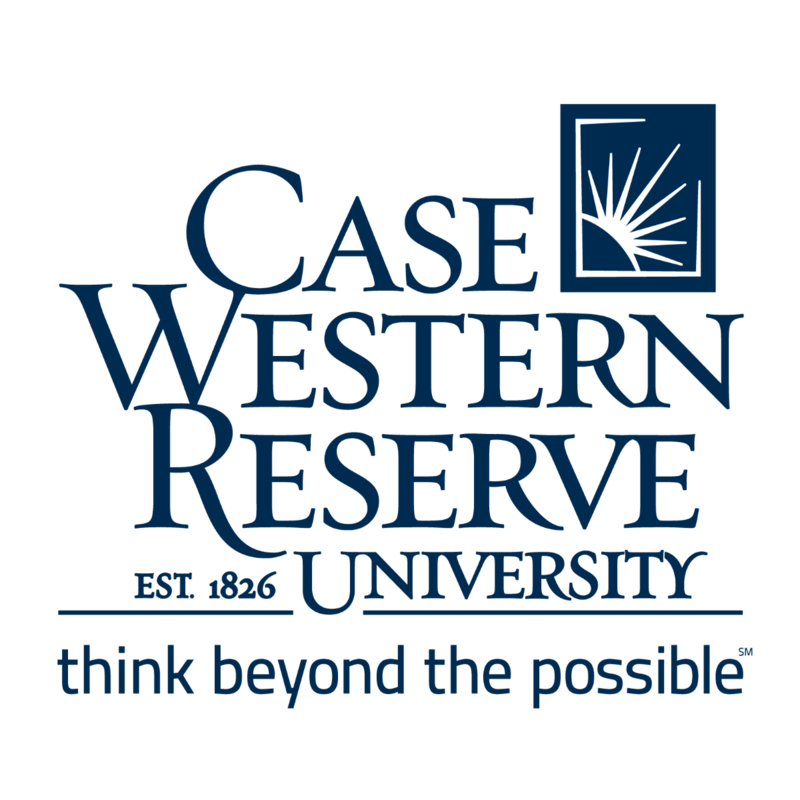 HackCWRU is Cleveland’s premier annual student run hackathon at Case Western Reserve University. This year, 500+ student hackers from universities and high schools around the globe will flock to our campus for 36 straight hours of innovation and collaboration. Student projects range from webapps to hardware hacks and aim to tackle real world problems in fields like healthcare and fintech. Located in University Circle, at HackCWRU students will have access to the famous Sears Think[Box], a seven-story makerspace, and the support of likeminded peers and mentors. Join us in supporting student innovation for a truly special event! The mission of the CWRU Health and Wellness Ad-hoc Committee is to improve the CWRU undergraduate health and wellness experience through collaborative project efforts with CWRU University Health and Counseling Services, surveying the undergraduate student body to collect input pertaining to the student wellness experience on campus, and working with wellness-charged student groups to actively promote and educate on campus health. The Hillel Undergraduate Leadership Council (HULC) acts as the undergraduate analog of the Cleveland Hillel Foundation and will support undergraduate initiatives at CWRU and in the surrounding community. The Horizons program is a mentoring organization in which medical school students from Case Western School of Medicine and undergraduates from Case Western Reserve University come together to form close knit groups with high-school students for the benefit of all three levels of students. The mission of Horizons is to utilize the field of medicine to empower inner city teenagers as learners and teachers, in order to support their intrinsic motivations to achieve academically. Through a combination of clinical exposure, problem-based learning, role model exposure, and self-reflection, this program seeks to help close our nation’s academic achievement gap among students of varying racial and socioeconomic demographics. The CWRU Ice Hockey club provides all undergraduate, graduate students, faculty, and staff with the opportunity to participate in collegiate level ice hockey. We compete against schools in Pennsylvania, Ohio, New York, and more. The ice hockey club is a member of College Hockey East Open Tier 1, and won the CHE playoffs in 2016. IMPROVment is an audition-based short form improvisational comedy troupe. Throughout the semester, IMPROVment brings comedy to the CWRU community with performances in the Eldred Black Box, as well as other venues around campus. Our purpose is to provide improvisational dance as an option in the Case community. Through this organization dancers will be able to develop their improvisation and partnering skills through directed improv exercises. This organization will allow students to take a class from teachers outside the dance department and have the opportunity to dance outside. International Club is an student organization dedicated to expanding cultural diversity on campus by promoting the exchange of ideas, cultures and traditions. We also organize events and programs to help incoming international students adjust to American culture. Main events and programs we have through out the academic year are: Mentor Program, Thanksgiving Dinner, Annual International Dinner and more! Case's only club for Japanese Culture and Anime. We hold regular casual meetings in Room 240 of the Tinkham Veale University Center on Tuesday evenings from 8:00 to 10:00 PM. Show up and watch anime with us! Judo is "the gentle way," but it can still disarm an opponent! Learn self-defense, improve your balance, strength, and confidence practicing this Japanese martial art (and Olympic sport!). We hold weekly Judo training sessions where we work mainly on throwing and grappling techniques. Expect to work hard and have fun in an atmosphere of cooperative self-improvement. No experience necessary - just show up to a training session! If you're interested in just stopping by to hang out, or to learn to juggle (or any of the other things on that list) don't hesitate to stop by on Tuesday and Thursday nights from 6-9PM either on the lawn outside Leutner or in the Fireside Lounge next to L3, depending on the weather. Learning Kendo is a long process. Approximately the first three months of practices will be entirely footwork and cutting, no sparring. After that, students will test from one of our sensei to wear bogu, the armor, and begin practice against opponents. It will be at least another month before a student is ready for free sparring and then competition. We are a dedicated group of undergraduates, making an impact in our Cleveland community by providing food stock for soup kitchens and pantries. A huge thanks goes out to our distributors- the Cleveland Food Bank. The CWRU Kung Fu Club practices Northern Shaolin Long Fist and Seven-star Praying Mantis Kung Fu - two dynamic styles that focus on intercepting/absorbing attacks, performing traditional forms, and learning self-defense, throws, strikes, and sparring techniques. The club also practices Shuai Chiao, a type of Chinese wrestling and subsequently had success in many tournaments. There are very practical and stylistic aspects to this martial art. For an athlete, it's a great opportunity to improve your overall performance. For everyone, it's a great opportunity to develop skills at your own pace - and experience continuous accomplishments. Open to all undergraduate and graduates, CWRU Lacrosse Club is a way to keep people involved with the sport. There is no skill requirement, just an interest in the game is enough. The Men's team is a part of the NCLL and plays games every spring and the Women's team is part of the WCLL and plays games every spring. Case Longboarders is an all inclusive club that seeks to give Case students a unique opportunity in the field of adventure sports. It hopes to provided a way for students to relieve stress and and immerse themselves in the city lifestyle through longboarding and skateboarding. All riding styles are welcome! The purpose of the CWRU Math Club is to promote interest in, thoughtful discussion on, and friendship through mathematics at Case Western Reserve University and its surrounding community. The Math Club holds bi-weekly open meetings wherein mathematics is discussed and provides interested students with transportation to and from national mathematics conferences, if there is sufficient interest among the its members. The Math Club interacts with the mathematical activities of the Ohio Sigma Chapter of Pi Mu Epsilon National Mathematics Honor Society (PME). A modern dance performance group that welcomes all students, staff, faculty and community to join independent of experience. So if you have danced in the past, or just always wanted to, come and join us for a fun performance without all the stress! MEDLIFE is an organization that is dedicated to providing healthcare to the underserved communities of South America and Africa. CWRU's chapter will focus on sending its members to a volunteer trip, as well as fundraising for medicine, education, and development of impoverished communities. We will promote local volunteering as well to serve the communities of Cleveland. Medieval Combat Club strives to engage its members in safe, full-contact combat, in a game that is called "Dagorhir". Members receive training in a wide variety of fighting styles with a wide variety of weapons, and learn the tactics and strategies behind the game. MCC strives to not only promote teamwork, but honorable, polite, and fair conduct, in and outside the game. No prior combat or martial arts experience is required, and any who are interested are free to show up at practice. Safety gear and weapons gear are not required. Practice is held on Leutner Field every Saturday. MAPS is one of Case's most diverse, pre-medical, student-run organization on campus. MAPS allows students to form relationships with current CWRU medical students, acquire help and input for taking the MCAT and filling out admissions applications, and also socialize with other students on campus that share similar career plans. MAPS also looks to offer numerous events to help students to know what is expected of them on their journey to medical school. MAPS is the Case Western Reserve University chapter of the Minority Association of Pre-medical Students (MAPS). MAPS works closely with its sister organization SNMA, which is a group of CWRU medical school students who act as inspiration, mentors, and friends to any members of the MAPS group. The purpose of CWRU MMA is to bring together people of all martial arts backgrounds under one organization. We aim to strengthen the abilities of these individuals, but also be all inclusive. Complete amateurs are welcome as well, as we hope to allow all people to obtain the ability to defend themselves, and improve their physical abilities. Model United Nations is a competitive intercollegiate foreign and public affairs activity that seeks to develop delegates' skills with public speaking, diplomatic compromise, resolution writing, group leadership, and the accurate representation of a nation's foreign policies while fostering a greater understanding of how the United Nations works, the cultural, political, and economic backgrounds of other nations, and the foreign affairs community in general. The purpose of the Music Undergraduate Student Involvement Committee (MUSIC) is to promote and facilitate various musical collaborations, performances, and experiences across campus among music majors, non-majors, faculty, and the general public. The Music Undergraduate Student Involvement Committee strives to extrapolate the unseen talent on campus and promote awareness of these musicians. In addition to organizing music-related events throughout each semester we also seek and provide opportunities for students to perform on campus and throughout the community. Furthermore, we help connect music students to the professional world. How well you sleep is more important than how much, and a good night’s rest has everything to do with how you go to bed and how you wake up. Our mission is to help students find the right tools to take back their sleep and be their rest self. We are channeling our desire to create these resources through events, education, and research. We hold monthly R.E.S.T. events, where we encourage students to Recognize Equality in Simple Things and reclaim their time. We create educational materials for dorms and the Internet, and share what we learn about quality sleep with students. We design and implement our own research surveys to understand and address the most pressing issues for students' sleep health, and most importantly we enjoy doing so. Our chapter at CWRU will strive to inform youth of the problems affecting African Americans and other racial and ethnic minorities and for the youth to appreciate the African Diaspora and other people of color's contribution to civilization develop an effective and intelligent youth leadership. By reaching out to our college community and surrounding high school communities, we shall better ourselves and provide opportunities for other students in the educational world and promoting political awareness. We are a pre-professional club for student interested in the Communication Sciences and Disorders major and those interested in fields such as speech language pathology, audiology, psychology, education, medical fields etc. We hold study nights, volunteer in the Cleveland community, and attend networking conferences. All are welcome to join! Newman Catholic Student Association (NCSA) is a Catholic faith community open to all Case Western students. Come join us as we blaze new trails on our faith journeys. We combine the riches of millennia of Catholic Tradition with a warm, fun and friendly community where all are truly welcome. Whether you were born and raised Catholic, or would just like to learn more about Catholicism; or whether you are embarking on your first year at Case, your last, or even post-graduate studies; we invite you to come to any of our events and learn more about NCSA, Catholicism, faith and life. We are CWRU's premier competitive classical dance team. We fuse centuries old Indian origin dance to contemporary music from around the globe. OCMEA is a group composed primarily of music education majors that serves to offer professional development and networking opportunities both for those who are involved in and interested in the field of music education. The group also serves to coordinate transportation to and fundraising for the state music education conference every year during the spring semester, which provides undergraduates with learning and networking opportunities in an outside-the-classroom setting. Join us in help making a difference around the world! Operation Smile University Club brings awareness to the unfortunate affliction of individuals with facial deformities. These individuals are often treated as social outcasts. By unmasking and bringing public awareness to their condition, we strive to make a difference to these special-needs individuals. We bring student-community awareness to their problems and offer our assistance however we can. The Operation Smile University Club serves to educate, fundraise, and volunteer. All of the profits made benefit the children undergoing craniofacial procedures in University Hospital's Rainbow Babies and Children's Hospital, Columbus' Flying Horse Farms craniofacial medical camp for kids, and national Operation Smile organization. We are the official Case Western Reserve University Pep Band, a student group devoted to playing music and spreading spirit at events around campus, including basketball and hockey games and CWRU Live. Anyone is welcome - just bring your instrument, come join the fun, and help support our Spartans! If you've got some time, feel free to stop by any of our rehearsals. We'll take any instrument, tuba to slide whistle. Our practice times have yet to be determined, but we generally rehearse once a week for an hour. Stop on by just to say hi or bring an instrument and play along. We'd love to have you with us! Phi Alpha Delta Law Fraternity, International is a professional law fraternity advancing integrity, compassion and courage through service to the student, the school, the profession and the community. Bound together by tradition and our common interest in the law, we share these core values: Integrity, Compassion, Courage, Professionalism, Service, Diversity, and Innovation. PAD has an open membership policy and encourages all interested pre-law students to join! Phi Delta Epsilon is an International Medical Fraternity that creates physicians with the guiding principles of philanthropy, deity, and education, through fellowship, service, mentoring, and formal training in leadership, science, and ethics. Our motto is 'Facta Non Verba, Deeds Not Words'; Phi Delta Epsilon welcomes students who are interested in medicine. The Physics and Astronomy Club allows students to explore their interests in physics and astronomy. Three PAC talks every semester give students a chance to learn what faculty members are doing at Case and what opportunities exist in the two fields. Each semester, we hold one (or more) telescope nights, where students are able to observe the night sky through either the rooftop telescope on top of AW Smith or in the Museum of Natural History's planetarium. Every spring we take a trip to a national laboratory, while in the fall we drop pumpkins and eat pie. In addition, our recently created Demo Day lets people have fun proving simple scientific laws. Players' Theatre Group (PTG) is a performance group which allows undergraduates the unique experience of taking charge of all aspects of theatrical performances. The shows we perform are student proposed, directed, and performed. Our current home is the Eldred Black Box theater. PTG is heavily involved in theatre on Case's campus and is the premiere student-run theatre group. Polyglot Gathering is designed to bring multilingual students and language enthusiasts together to learn and teach different languages to each other and to the campus community. We aim to create a relaxed and inspiring atmosphere for members to enjoy and learn languages through weekly lesson plans and activities held by members themselves as well as university professors. Members are encouraged to share their knowledge and experience of language learning through different topics each week. We are open to students of all proficiency as long as you are a language lover. Additionally, this organization will occasionally hold competitions and trips to local schools in Cleveland to teach children different languages. The Pre-Dental Society (PDS) of CWRU is focused on helping pre-dental students reach their goal of becoming a dentist. As a student-run organization, we bring in speakers from the Case School of Dental Medicine, conduct information sessions about recommended paths of dentistry, volunteer in the Cleveland area, and provide valuable resources for our members to improve their dental school applications. PDS has regularly visited local Cleveland elementary schools to teach about dental hygiene and healthy eating habits, as well as donating oral hygiene supplies to local homeless shelters and churches. PDS has helped numerous members achieve acceptances to the nation's top dental institutions. The Pre-PA club is an organization dedicated to educating the CWRU campus about the Physician Assistant occupation. The organization provides students networking opportunities with other students and current Physician Assistants. Furthermore, the Pre-PA club provides information about how to prepare for and apply to PA schools in order to be a strong applicant. We are striving to create a campus organization for students interested in pursuing a career in veterinary medicine and/or animal welfare. Suggestions of any activities are welcome and encouraged! Anyone can join! Project Sunshine is a non-denominational, not-for-profit organization that provides numerous free programs and services to children with cancer, AIDS, and other life-threatening illnesses. We are a 100% volunteer organization and all of our volunteers are devoted to improving the lives of the children and families we serve. Our main volunteer sites are Rainbow Babies & Children's Hospital and the Ronald McDonald House. Our service projects include arts & crafts activities, baking, cooking dinner for the families, and much more! The proceeds from our semester fundraisers go towards these service projects. Volunteers will have the option to be trained to volunteer at both the Ronald McDonald House and UH Rainbow Babies Children's Hospital. Offer numerous service opportunities to both members and the campus community. Volunteering is a great way to give back to the community, engage with kids in a medical context and build connections with other students passionate about service! Please be sure to fill out a quick volunteer profile at https://www.tfaforms.com/387706 so we can keep track of your service hours! Thanks. The club shall be a group for students interested in promoting and solving puzzles. Puzzles of particular interest include (not limited to) jigsaw puzzles and Rubik’s cubes, word puzzles, logic puzzles, mechanical puzzles, riddles, etc. The club serves as a gathering place for members to enjoy puzzles together and to learn from a group experience. CWRUCIO Quidditch provides an outlet for students to play a fantastic sport together, while sharing their love of everything to do with Quidditch, and spreading that joy throughout the campus community and beyond! We practice twice a week and host a Yule Ball and a few tournaments annually. We also compete in competitive intercollegiate matches and events with Quidditch teams and other organizations in the region, raise money for charity, and generally have a ton fun! CWRU Racquetball Club provides a great opportunity to play this fun and fast-paced sport. Whether you have never even heard of racquetball, or you have been playing for several years, Racquetball Club is the perfect place to learn the game, play with similarly-skilled people, improve your skills, make friends, occasionally eat free food, and, most importantly, have fun!! We also play competitively in tournaments, both on-campus and on the road against other schools. Interested in joining? Feel free to come to one of our practices, which are Wednesdays and Fridays 6-7pm at the racquetball courts in Veale Athletic Center. Hope to see you there! If you have any questions, please feel free to reach out to our President Brian O'Rourke (bpo10@case.edu) or VP Zach Roshon (zrr4@case.edu). Red Cross Club is a club dedicated to educating students about disaster preparedness, health and safety services, international services, biomedical services, service to the armed forces, and potential volunteer opportunities. Members will also learn more about the history and purpose of the Red Cross organization locally and in other parts of the world. CWRUbotix is the undergraduate competitive robotics team of Case Western Reserve University. We compete in several national competitions, namely the NASA Robotic Mining Competition and National Robotics Challenge. The Roleplaying Games (RPG) Club is dedicated to helping connect and support the CWRU Pen & Paper RPG community. The club holds semesterly events to help students find games on campus, and possesses a library of sourcebooks and gaming resources that students may borrow from. We also hold social events throughout the year to help introduce newer players to the community and to promote interest in a variety of systems. The CWRURFC was established to enhance the college experience for Case Western Reserve University students through the social and competitive aspects of Rugby. The club strives to help promote the great sport of rugby through cooperation and competition with other teams in the northeastern Ohio area. Case's new Salsa Dancing club where the community can come to meet new people, learn some awesome dance moves, listen to great music, and have a good time! The Case Salsa Dancing club strives to teach the community some social salsa dancing, purely for the love of dance and good music. We hold lessons for all skill levels: beginner, intermediate, and advanced. Are lessons are taught by long time Salsa instructors along with our executive board. With only one semester with us, you can learn a great deal of moves and skills that you can take with you to the clubs! We typically go social salsa dancing on Thursday nights at Viva Dance Studio as well as Friday nights at Europa, and we strongly encourage all our students to come! The CWRU SCUBA Club is a student organization open to all members of the Case Western Reserve University community. SCUBA Club seeks to be a place where underwater enthusiasts can gather and share common interests and experiences.If you share an interest in snorkeling, SCUBA diving or some other related underwater activity, stop by one of our meetings to see how you can get in on the fun trips and events we organize. Diving and snorkeling trips will be scheduled for members to partake in as the school year goes on. And if enough members are interested, we will also organize underwater hockey games when allowed by the Veale athletic center. Opportunities for club trips and activities may come up suddenly without notice or appear well in advance, so keep an eye on the SCUBA Club Google calendar. Meetings and activities organized by the club are designed to educate members about underwater fun and safety. While most of what the club does seems like just having a bunch of fun (it definitely is fun! ), we want to make sure that all of our members are safe under the water. The club will organize groups of members and interested students to attend certification classes through local dive shops. SCUBA Club hopes to also host seminars on safe diving and snorkeling and various other topics relevant to the underwater community. The Sexual Assault and Violence Educators (SAVE) will provide the opportunity for individuals in the community to learn more about sexual assault and domestic/intimate partner violence, how to help prevent these issues from occurring and how to assist survivors as well as their friends and family members. SAVE will provide opportunities for survivors and their friends and family members to speak out against these issues and work towards creating a community which will not stand for sexual assault and domestic/intimate partner violence to continue to occur. Our work will take place with the assistance of the Flora Stone Mather Center for Women. A common dilemma pre-health students face is obtaining clinical experience or opportunities to shadow physicians. As this need arose, we saw a chance to improve the pre-health experience by facilitating a shadowing program. In doing so, we hope to strengthen the university's ties with the surrounding hospitals, building relationship with physicians for our members and promote leadership among the pre-health community. Ultimately, the major benefit of this service is that Case students will be more competitive applicants to medical, dental or veterinary schools. She’s the First Case Western Reserve University is an independent student-led campus chapter of the international nonprofit organization She’s the First. The purpose of She’s the First is to promote the importance of education equality and global citizenship at Case Western Reserve University. Through fundraising events, STF will provide academic scholarships to girls in low-income countries within the She’s the First partner network. The Purpose of this organisation shall be to provide students majoring in International Studies, or those with interest in International Studies, an opportunity to network, learn from peers, and explore career opportunities. The Case Ski and Snowboard Club provides Case students the opportunity to go skiing and snowboarding while they attend Case, seeks to increase the appreciation of skiing and snowboarding on the Case campus, and adds to the winter sport culture of Case students during their undergraduate experience. Slow Food stands at the crossroads of ecology and gastronomy. It opposes the standardization of taste and culture, and the unrestrained power of the food industry multinationals and industrial agriculture. We believe that everyone has a fundamental right to good, clean, and fair food, and consequently the responsibility to protect its heritage. Our association recognizes the strong connections between plate, planet, people and culture. The purpose of this club shall be to serve as an outlet for soccer players who do not have the time commitment for varsity, but want more team community and competition than what is provided by intramurals. The Society of Hispanic Professional Engineers, Inc. is a non-profit nationwide organization dedicated to increasing the participation of college students in the fields of science, technology, engineering, and math (STEM). SHPE is composed of individual chapters all throughout the country, from High School to Professional Levels, which invest in creating a richer and more diverse professional environment for all underrepresented minorities in STEM fields. In our chapter, we utilize the programming of the National organization to develop the leadership skills of our members. Our chapter was founded on January 2013 at Case Western Reserve University. Our chapter meets every other week at CWRU to discuss professional opportunities and develop professional skills. We also work on meeting and networking with professionals, receiving advice on various STEM fields, as well as preparing and attending Regional and National Conferences! Mision: Changing lives by empowering the Hispanic, Latinx and Minority community to realize its fullest potential and to impact the world through STEM Awareness, Access, Support, and Development. Vision: Creating a Case Western Reserve and Cleveland community where Hispanic, Latino and Minority members are highly valued and influential as the leading Innovators, Scientists, Mathematicians, and Engineers. Solstice is Case Western Reserve University's all female a capella group. Founded in the fall of 2003, we dedicate ourselves to providing students with the opportunity to learn, perform, and grow through a capella. We have a diverse musical repertoire which includes pop, light rock, alternative, and anything else that strikes our fancy. We perform at campus events, open for fellow CWRU music groups, hold fall and spring concerts, and do a variety of other performances on and off campus. For updates, check out our facebook page! We are a competitive Indian folk dance team which competes at international competitions around the U.S., as well as weddings and events on campus and across Ohio. More importantly, we are a family of students which loves to dance and have fun! Spartan cheerleading is a club sport which aims to promote spirit and pride at football and basketball home games. Welcome to the Spartan Dance Team's page! We are a team of dancers that promote school spirit. We perform at CWRU football and basketball games, as well as various campus and philanthropy events. If you're interested in joining, feel free to leave us a message! We're always open to all dancers! The Spartan Running Club is a friendly group of runners in the Case Western community. SRC meets at Veale & Wyant three times a week for team runs. We hope to foster a love of running in the Case community by welcoming those new to running, interested in getting in shape, or looking to compete in races. For those who want to participate in our monthly road races we pay in-part (or in-full) the cost of race entry!!! The Spartan Tappers are the loudest dance group on campus! We provide two free tap classes every week: a Performance Practice and a Technique Class. Tapping is a lot of fun and a great workout. Dancers of all levels are welcome! In the Spring, we host Case Cabaret, a campus-wide talentshow. Also, every Fall we host ExtravaDance, an event featuring workshops led by various campus performing groups. SpartanTHON is a year round fundraising and service organization dedicated to celebrating and saving the lives of the kids at UH Rainbow Babies and Children's Hospital. Our organization develops leaders, engages local businesses, mentors high schools, and plans some of the most successful, impactful, and fun events at CWRU. SpartanTHON puts on campus engagement events throughout the year such as the fall FT5K Color Run, dancer week, canning trips, and more. All of these culminate in our final and biggest celebration of the year, dance marathon. A 12 hour dance marathon that is filled with games, crafts, food, performances, competitions, and of course dancing. During the 2017-18 year SpartanTHON raised over $102,000 for Rainbow Babies and Children's Hospital and this upcoming year hopes to raise more For The Kids. Speakeasy is premier men's a cappella group. Since 1997, Speakeasy has entertained audiences nationwide with their smooth blend of contemporary and classical harmony. In Speakeasy, our goal is to provide students with outstanding performance opportunities and a chance to learn more about the art of singing acappella. For more information, visit our website or check out some of our videos on YouTube (by searching for "Case Speakeasy"). Spikeball can best be described as a mix between four square and volleyball. The club is open to anyone who wants to try something new and entertaining, those with prior experience, or even those simply looking for a fun way to work out. SDA is a group for students interested in nutrition and dietetics, including non-nutrition majors. We hold numerous professional development and networking events focusing on current issues in nutrition, as well as career opportunities for those earning a degree in nutrition or nutritional biochemistry. SDA also participates in food and nutrition-related community service events and strives to educate the campus community about healthy living, usually in collaboration with other campus organizations and Bon Appetit. Our group meets twice a month for general body meetings, and holds events throughout the semester. This club is geared towards assisting student musical groups to organize and rehearse for the purpose of being able to perform at student events and at local venues. Currently hosting two musical groups, the Deceptive Middle, a punk band, and Task Bar None (name pending). Hello and welcome to our OrgSync page. We are the Student Golfers' Association (also referred to as SGA) of Case Western Reserve University. Our goal is to promote the game of golf on campus. All skill ranges are welcome in the club, even if you have never played before. Initially established in 2010 by James Hale and Reid Carroll, the Student Golfers' Association is being revamped in the fall of 2014. We will be hosting driving range trips, as well as 9-and 18-hole outings weather permitting. Throughout the winter, we will be hosting indoor and semi-indoor driving range trips. General body meetings will be held twice per semester to help the Club run more efficiently. We have been working with the National Collegiate Club Golf Association in order to try to compete in Regional Tournaments for those students that are interested. We hope to become a Club Sports Team in the future with the potential for a Varsity team. If you would like to join the organization, please click the "Join Organization" button on our homepage and subscribe to our mailing list for more updates. Please explore our OrgSync page for more information. The Student Sustainability Council is an ad-hoc council of USG with the purpose of promoting and developing a more sustainable mode of life for students and faculty on CWRU's campus. We aim to create and implement innovative projects dealing with recycling, water conservation, "green" building policies, food waste reduction, and many other topics. We work with faculty, staff, administration, and other student organizations to review, design, and implement new policies, practices, and procedures in order to accomplish a more sustainable lifestyle. We organize several outreach events to promote sustainable habits and bring about awareness to environmental issues, and organize/advertise environmental community service events in order for the campus community to be involved in helping the planet. We alsoaim to organize several outdoor recreation events to bring students to explore and appreciate the outdoors of the Greater Cleveland area. The Swing Dancing club of CWRU! We hold free lessons and practice sessions twice a week, and attend social dances regularly in the Cleveland dance community. Prior dancing experience is NOT required! The CWRU Table Tennis Team is a proud representative of Case Western Reserve University in the National Table Tennis Association (NCTTA). We practice three times weekly in Veale's Multipurpose Room (2nd floor). Practice times are Mondays Wedensdays and Fridays from 8:30 - 10:30 pm. We have more than 6 tables and club equipment such as paddles and balls available. We also offer group coaching lessons from International Table Tennis Federation (ITTF) Level 1 Coach Seth Pech where we work on structured drills and exercises. Our dues are one of the lowest of any sports club! They are $20 for the academic year or $12 per semester. Dues cover the use of club equipment. Team members compete regularly in both individual events and also as a team against nearby universities, consistently placing in the top two spots. In February 2016, the Club traveled to Toronto, Ontario to compete in the regional tournament against universities from the surrounding states - including some from Canada! The Tabletop Empire is a club that provides a gathering place for those who wish to participate in various forms of tabletop games. For example, we play Warhammer 40,000, Settlers of Catan, Dominion, Betrayal at House on the Hill, Coup, and Cosmic Encounter. Players and games range from casual to competitive. New games and expansions are introduced regularly based on club recommendations. To provide its members and instructors with the highest possible standards, values, and environment for learning, practicing and instructing the martial arts. To foster personal growth and development in club members as individuals, leaders, and community members through the physical and mental training inherent in Taekwondo. We're a casual group of tea-lovers. We meet once a week to try out different teas and just hang out for a while (and destress from classes). Stop in, enjoy tea, and meet new people with a similar interest. We also request you try to bring your own mug, if possible. TEDxCWRU serves to uphold the philosophy of TED: ideas worth sharing. We provide students the opportunity to present and observe presentations of an almost infinite array of topics. We allow these visionaries to not only improve their public speaking skills, but gain insights into questions they haven't even thought to ask yet. At the end of each semester, TEDxCWRU hosts an official licensed TEDx event, and students of Case Western Reserve University are invited to listen to guests discuss some of their own thoughts. Each semester, one member is selected based on exemplary presentation skills to give an opening TEDx talk at the TEDxCWRU event, and will be filmed for the official TED YouTube channel. We are also going to work with the United States Tennis Association (USTA) to be able to compete with other university tennis clubs around us. We hope to unite the tennis players on campus and provide a way for them to regularly play tennis at a less competitive level. A group that fosters reading as a hobby among students. The Architect is an educational and innovative space for students who are interested in architecture or planning to pursue future education in the the architecture field. We will integrate discussions, presentations, workshops and field trips into our club meetings, introducing architecture and art history, basic structural engineering, urban planning and environmental design. Participants will have access to various CAD software to learn about modern design workflow. As a mutual growth experience, The Architect will provide support and help to students who are interested in further studies in architecture. This is a friendly platform to share information about architecture schools, applications and portfolio building. Outside of meetings, we will form a CWRU team to participate in numerous design competitions, which are great opportunities to perform teamwork. For the most exciting part, any students are welcomed to join our low cost or no cost tours around Cleveland and its surrounding areas. In our chaper, we have meetings once two weeks and follow a structured format, with various members participating in different roles in the meeting. The Weatherhead Fund is a student operated investment club managing a ~$500,000 portfolio. All majors and interests are welcome. Industries covered: Consumer, Technology, Energy, Manufacturing, FIG/REITs, and Healthcare. Theta Pi Sigma is a gender inclusive, LGBTQ-focused, greek-lettered organization seeking to provide a safe space in the greek life community for people of all gender identities and sexualities. This organization is founded under the principles of growth, progress, and leadership for the LGBTQ community. Theta Tau is the only professional engineering fraternity on campus. We are a chapter as of November 2016! We have been reinstalled as Delta Chapter of Theta Tau. Our philanthropy is Habitat for Humanity and we are working on starting housing projects with Cleveland Habitat. We do brotherhood events such as potlucks and also do professional workshops on resume building and interviews. Club Ultimate Frisbee allows competitive play at CWRU. We travel to other universities to play in tournaments against teams from across the nation. The club consists of three teams, Men's, Women's and Men's Developmental. We practice year round, including a winter season where we practice inside the Veale Fieldhouse. We welcome anyone interested in the sport, experienced player or novice. Anyone and everyone is welcome to come to practice! Bioethics is a vibrant, interdisciplinary field engaging in the most important and cutting-edge ethical issues concerning biomedical research and the delivery of health care today. The Undergraduate Bioethics Society at CWRU is a student-run organization that fosters bioethics education outside the classroom. Society activities include bioethics debate, undergraduate publishing, conference planning, career and internship planning, and social events. The Bioethics Society welcomes students from all academic disciplines. Exposure to the field of Bioethics at the undergraduate level provides excellent pre-professional preparation for students aspiring to a career in health care, biomedical research, law, social work, philosophy, or other disciplines in the humanities and social sciences. The Undergraduate Indian Students Association (uISA) of Case Western Reserve University is a student-led organization under the Undergraduate Student Government (USG). uISA is one of the largest student organizations on campus as it works independently and in conjunction with other cultural and Greek organizations. Founded by Indian undergraduates, the organization strives to bring awareness of Indian culture and tradition to both Case Western and to the greater Cleveland area. uISA hosts many events throughout the year including celebrations of Navaratri Garba, Diwali, and Holi. An annual benefit dinner, formal dance, and cultural show are also major events put on, with the cultural show bringing in more than 500 attendees from the campus and Cleveland communities each year. The Undergraduate Materials Society (UMS) is an academic organization created to help students of the Materials Science and Engineering Department and those with interest in materials make the most of their undergraduate experience. To this end, we work together to provide support for students, whether it be i) networking opportunities via meetings of local professional organizations, ii) financially though scholarship applications with local organizations, iii) academically through contacts with professors, or iv) socially in our Lounge. Military Science Club brings students together to learn about and discuss the military and military science. Many of our planned activities include trips to nearby battlefields, volunteering, leadership, and field/survival training. Unlike the ROTC program here at CWRU, you are not required to be enrolled in a military science class or have instructor consent in order to participate in activities. The military science club will also work to engage students of all political persuasions in dialogue over current issues with in the military and its role in world. The military science club is open to all students and will stress teamwork, mental and physical discipline, leadership, ethics, and remembrance of all those who have served. If you are interested in any branch of the military, military history, or simply eating free food available at some of our events, please consider joining our club or contact us for more information. Case's Undergraduate Mock Trial is a competitive organization within the American Mock Trial Association. Students compete as both witnesses and attorneys and present civil and criminal cases in front of attorney evaluators. Mock trial is open to students of all academic disciplines, and no prior experience is required. Anyone interested in gaining confidence, improving public speaking, learning about the law and having fun is encouraged to join. As an organization we have multiple competing teams based on students availability and experience. If you are a member of USG, please reach out to Director Emilio Lopez at eil11@case.edu to be validated. The USNA strives to advocate for nursing students both on CWRU's campus and across the United States. Everyone enrolled in the Frances Payne Bolton School of Nursing is granted automatic membership to the National Student Nurses Association, but CWRU's USNA board consists of leaders selected by student vote. The Executive Board consists of a President, Vice President, Secretary, and Treasurer, as well as our chapter advisor, Catherine Mohney. The board also has nominated representatives from each class as well as members at large. In the fall, the USNA attends a state convention in Ohio, where we discuss nursing student matters on a state level. During the second semester we host Nightingala for the students and faculty of CWRU. We also attend a half-week National Convention in April. “Urban Elementz is Case Western Reserve's most diverse hip-hop dance club. We aim to teach and harbor a relaxing, fun, comfortable environment for non-dancers, beginners, and experienced performers. We also perform at a variety of campus-wide events and programs! We learn and teach choreography by notable choreographers, like Kyle Hanagami, Matt Steffania, Jake Kodish, and Nika Kljun in all styles of hip-hop: lyrical, jazz-funk, krump, breaking, and many more! Anyone of any experience level is able to join us at our open rehearsals. For the 2018-2019 Academic Year, Urban Elementz is practicing on MONDAYS and WEDNESDAYS from 8:00 PM - 10:00 PM in the Village 3A Dance Studio, right behind Starbucks on Northside Residential Campus. CWRU Club Volleyball is part of the Club Sports Program that meets 2 times a week in Adelbert Gym to play volleyball. Men and women of all skill levels are welcome to come practice, meet other students, and enjoy the sport of volleyball. We host tournaments for men and women and compete with neighboring universities. Looking to learn how to wakeboard? Then come hangout with the CWRU Wakeboard Team. We wakeboard at Wake Nation Cable Park in Cincinnatti, Ohio and we will compete across the Midwest in World Wakeboard Association competitions. The Case Western Reserve University Club Water Polo is part of the Club Sports Program where members can convene and learn and play water polo, a sport similar to soccer and basketball, just in the water. We meet regularly on Tuesdays and Thursdays from 6:30-8:30pm and Saturdays from 11am-1pm in Veale Natatorium. We welcome anyone who wants to join us and anyone who wants to learn something new. We are members of the Patriot Water Polo Conference, consisting of BGSU, University of Kentucky, University of Indianapolis, Oakland University and CWRU. We also have ties with the Cleveland Water Polo Club, including our 2 coaches! We compete in 3 tournaments each semester. Please feel free to join our mailing list by contacting cwruwaterpolo@gmail.com and you will receive our updates. Some updates will also be posted on this page and our facebook page. If you have any questions please don't hesitate to contact the officers at cwruwaterpolo@gmail.com or visit our website at waterpolo.case.edu or our facebook page! Thanks and I hope to see you in the water! The Weatherhead Economics Society aims to stimulate and promote student interest in all aspects of economics and to facilitate the development of social bonds between economics students, alumni, faculty, and working professionals. In addition, it provides members with career and networking opportunities and engages with the local community through service projects that are able to benefit from the unique skills of its membership. WISER (Women in Science and Engineering Roundtable) is open to all female CWRU students (undergraduate, graduate and professional) majoring or planning a career in science, technology, engineering, medicine or math. New members, guests, and CWRU faculty and staff are always welcome to all WISER events. WISER sponsors a variety of programs and events, including peer and professional mentoring, monthly meetings, social outings, field trips, service projects, and opportunities for professional and educational enrichment. Writers Writing Words is a club for anyone who enjoys creative writing. Whether it's poetry, short stories, songs, or that one novel everyone has been secretly working on since middle school, all are welcome. We meet from 4:00 to 5:30 every Saturday in Bellflower Hall. If you're interested, feel free to stop by anytime! In our meetings, we host writing workshops to develop a specific aspect of creative writing, from worldbuilding to speed writing to developing dialogue. We also play writing games and share writing projects for advice and critique. We'll have free writing time for anyone who enjoys writing with friends! We are dedicated to informing the student body of local, national, and international news, as well as ways to get involved and break the bubble between CWRU and our community.